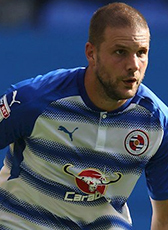 Joey van den Berg moved abroad in the summer of 2016 signing a 2-year contract at Reading leaving sc Heerenveen on a free transfer. Two weeks before Van den Berg joined Reading, the club signed Jaap Stam as a manager. They know each other because Jaap Stam was assistant-manager at PEC Zwolle while Van den Berg played at the club in blue and white. In July 2018 he returned home on a loan season deal to NEC. Van den Berg is well-know for getting red cards. In the 2015-16 season he received his 7th red card in his career at the highest level in The Netherlands, the Eredivisie. He equaled the all-time record of Gregoor van Dijk.